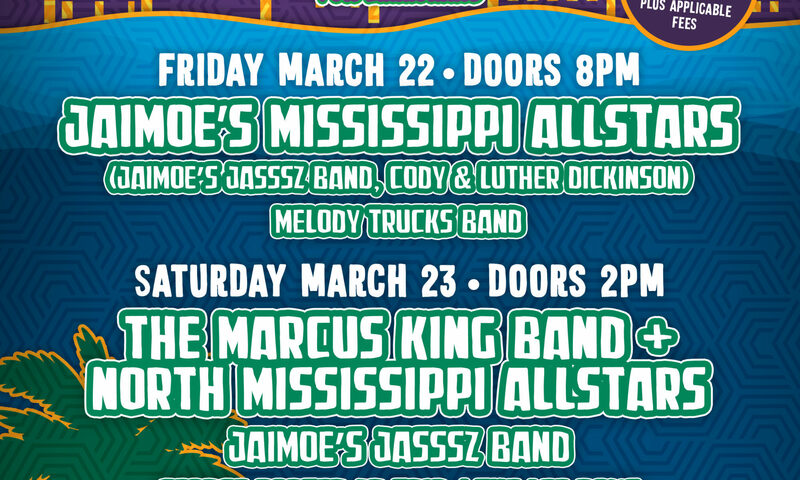 With The Marcus King Band, North Mississippi Allstars, Jaimoe's Jasssz Band, & More! 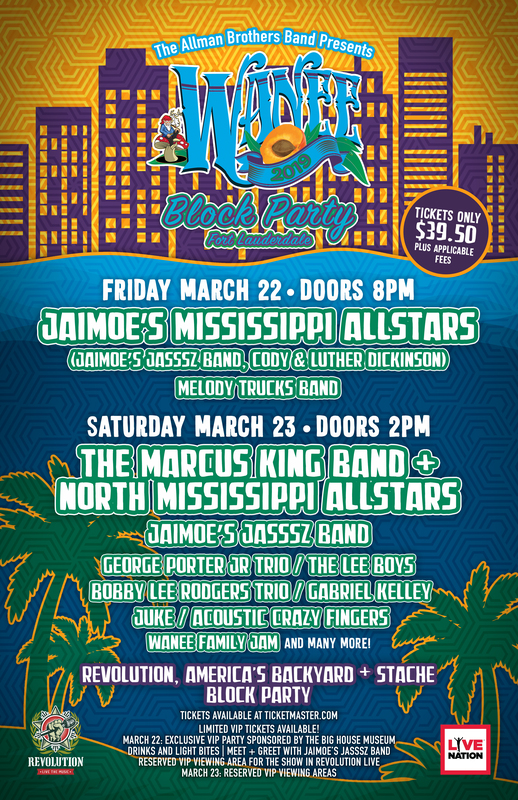 VIP packages ($160 plus applicable fees) are extremely limited and include access to an exclusive VIP party on Friday, March 22 sponsored by The Big House Museum; featuring a Meet & Greet with Jaimoe’s Jasssz Band, plus a private exhibit and book signing by the legendary Kirk West, showcasing his iconic photography. 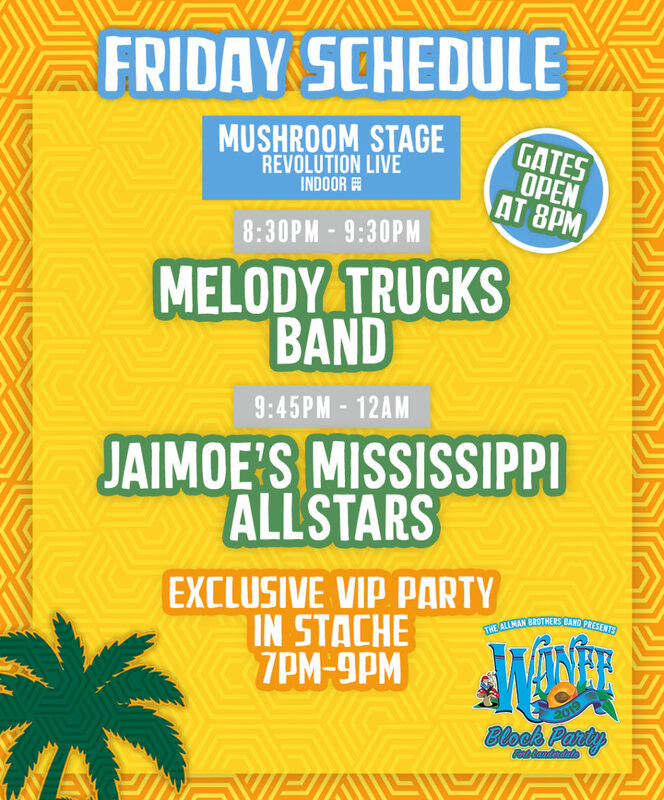 Drinks and light bites are included, along with a VIP viewing area for the show in Revolution on Friday (Jaimoe’s Mississippi Allstars). 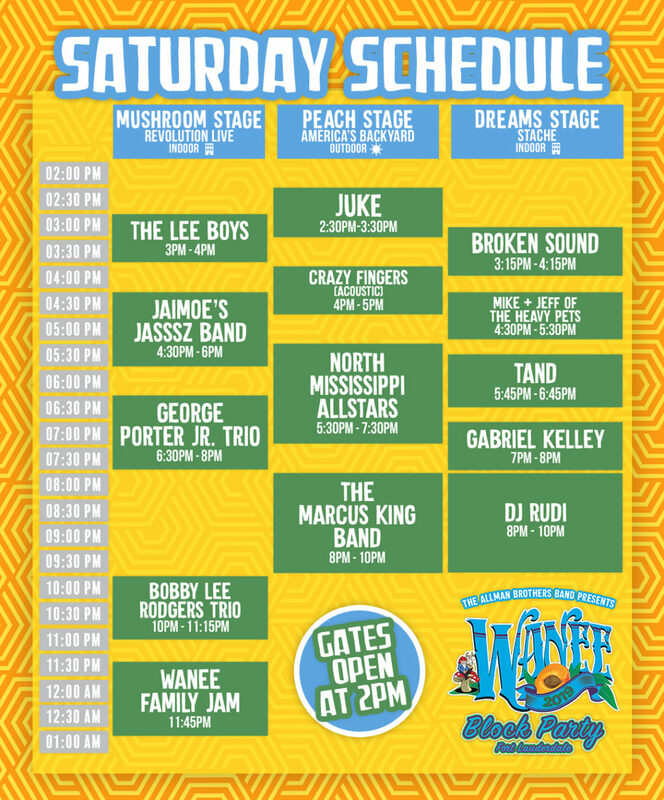 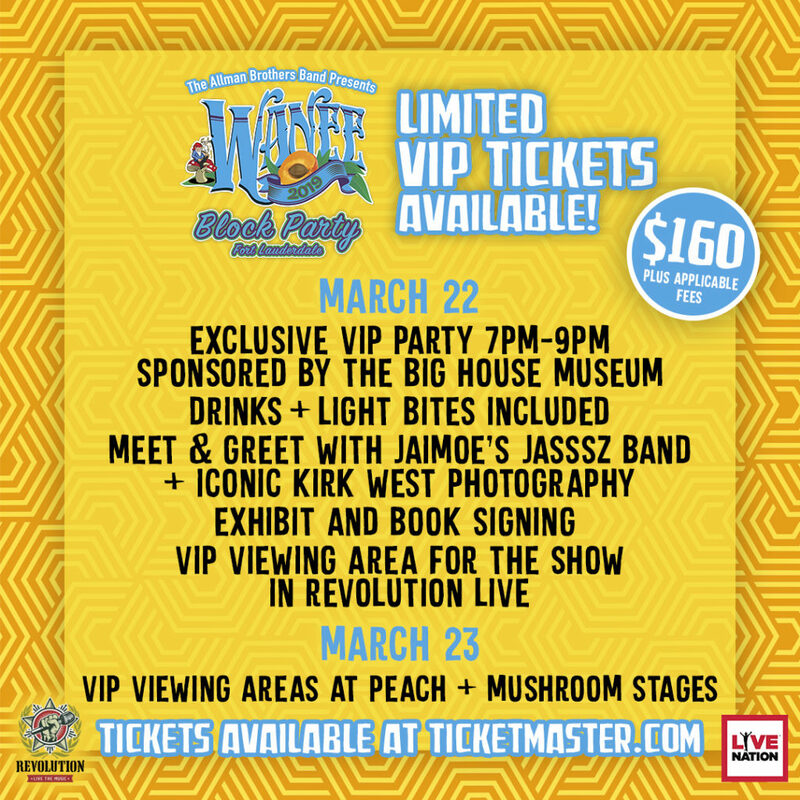 VIP packages include admission to both days of Wanee Block Party, with VIP viewing areas at each stage.